Is there a property ID for each property in MyVR? Need it to integrate with a site called Properly. Thanks. Thanks for reaching out on the MyVR community! 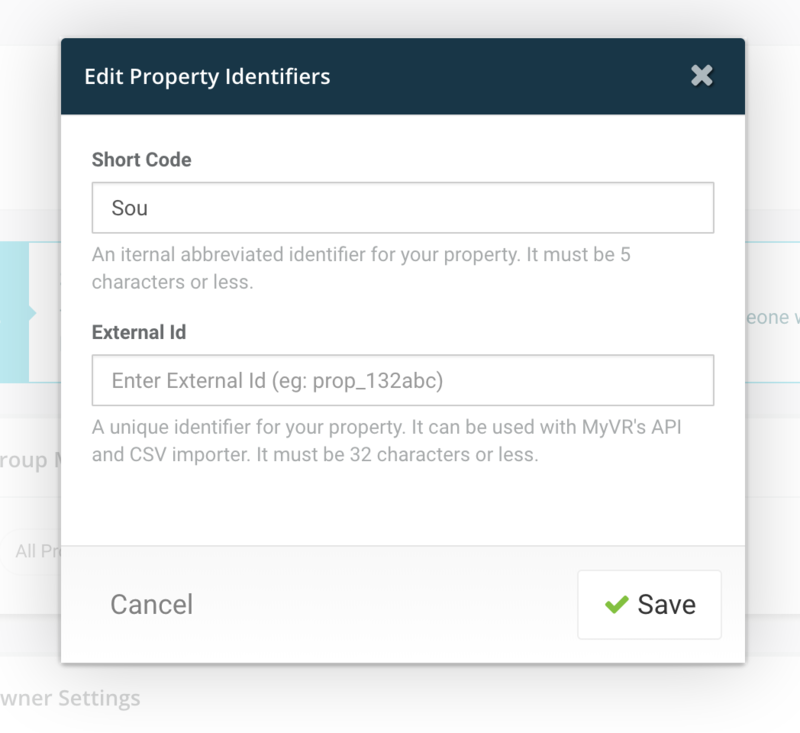 MyVR properties don't have an 'out of the box' property ID that is visible from the user's end within the product itself. However, what we refer to as the property 'key' is available programmatically via our API and many third-party integrations are able to pull that info from our API automatically during the connection process. You would want to reach out to Properly to confirm they pull the property 'key' from us during the initial integration steps with them. The only downside to this route is that it would require you to individually set your own external ID on each of your properties. Let us know if you have any questions on this! @kevin-poglitsch - I used Properly for their free trial period and they were able to successfully connect with the External ID.